I understand how Ext-A metering on the 600 EX-RT meters through the flash itself with its own built into the flash light meter, and how ETTL meters through the lens with a pre-flash using the camera's light meter. What I don't understand is where it would be most beneficial to use ETTL or Ext-A. It seems to me that Ext-A would always give me a better exposure over ETTL? Is ETTL best used for fill flash and Ext-A or Manual for everything else? Any guidance anyone can offer would be most appreciated. Edit - If I consider that putting any type of light modifier on the flash would negate the use of the built into the flash light meter, and considering that the camera most likely has a more robust or accurate light meter, maybe using ETTL is the preferred method over Ext-A in most cases? Anyone agree, disagree or have any comment to add? Perhaps using Ext-A when the 600 is an off-camera flash would be helpful? I've never tried that (I always use Manual mode in my off-camera lighting), just thinking out loud. How are you using your 600? Right now I am just experimenting with it, but they will be used mostly for portraits. I moved up from a 430 EX II which did not (I don't believe anyway) have this function so Ext-A is new to me. In general, with any flash that has Auto mode as well as a TTL flash mode, the Auto mode is useful if mounting the flash on a lightstand and putting the unit remotely and camera-controlled flash exposure is not possible. In the days before wireless TTL flash control was possible, this was frequently true. In the specific case of Canon-brand flash, unfortunately the engineers at Canon designed External mode metering to severely UNDERexpose shots...by as much as -2EV! This is well documented on POTN. This was true in the 580EX and unfortunately has proven to continue to be true with the newer 600EX as well! So it is necessary to LIE to the flash about ISO or f/stop used (or use FEC), in order to get it to deliver a sufficient amount of light onto the scene. In a number of specific camera+flash combinations, Canon camera-controlled ETTL would underexpose and need FEC, and/or ETTL might unpredictably mis-expose a shot...in which case some of us would resort to known-consistent and accurate Auto flash like Metz, even though they were ETTL compatible units. 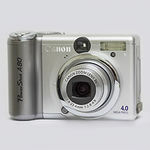 For example, ETTL seems prone to issues of full power flash output due to somewhat questionable connectivity between flash and camera, and Auto flash is not subject to such unexpected flash output errors! I have a couple of older auto flashes that do give pleasing results. However, as Wilt stated, it's necessary to use FEC if in Ext.A or, in Ext.M, open the aperture or set a higher ISO (than what is set on the flash) to get an acceptable exposure with the 580s and 600s. You could use Ext.M in an umbrella with a simple radio trigger, rotating the body of the flash so the sensor faces the subject. Ext A is, in my view, an old technology that for some reason Canon included in the 600EX-RT. Its there is you need it, but I suggest investing your time to learn how Canon ETTL works. It is a much more flexible and useful tool. What Canon offers with the 600EX-RT system is ability to remotely control the speedlites that are on stands, along with the one on camera. For quick moving and fluid situations ETTL is the best approach. For static situations, Manual offers some benefits related to consistency, although ETTL work well in this situation as well. As noted, Ext A, as implemented by Canon, has several peculiarities. It just much easier to use ETTL. Just one more bit of info on Auto. I purchased a Metz for it's legendary auto exposure which is a similar system as Canon's Ext-A and it did not disappoint. Excellent exposures compared to Canon. Like Wilt said Canon Auto underexposes. I figured they might resolve this issue with the 600 because this is not new tech. Metz has been doing it successfully for decades. Either they are doing on purpose for whatever reason (protecting highlights ? ), they forgot to do it or just decided not to. Only issue I found with the Metz was it tended to give overexposure warnings when shooting indoor, high ISO, with a lens wide open. After some research I learned that the Auto mode determines the correct exposure as you are taking the actual image. The flash fires at full power (as it does in ETTL) and the duration of the flash determines correct exposure. When in high ISO and a wide open lens the flash determines it will not have enough time to shut down the power and drain the flash tubes quickly enough to prevent overexposure. In ETTL mode the flash pre fires so the duration is pre decided before the actual image cycle takes place. So it already knows how long the duration will be. A real advantage in my opinion when shooting in that environment. I wanted a flash that I could use at less important events and not have to mess around with FEC. Exposures were great but since it did not handle low light the way I wanted it I sold it. Easier to work with one system even if the Metz menu was very user friendly. I don't think Canon gives an overexposure warning as I only tried Auto mode a long time ago. I did not experiment in low light as I was not a low light high ISO shooter back then. The 2 stops underexposure is just something I don't feel like dealing with so I have always used manual when I can and ETTL in a fast changing environment. I'm not sure what it does at a high ISO like 6,400 and 2.8 or wider. Overexposure is my guess. High ISO capable cameras are a recent thing. No one shot weddings at 6,400 with film so the Auto feature basically has not evolved to compensate for that. I know the Metz would work at 1,600 and f4. If I increased the ISO or opened the lens it started beeping. There are still situations where E-TTL II may be fooled but the internal metering in the flash isn't. E-TTL II set to averaging instead of evaluative may do the same trick. If a remote flash is used to illuminate rather a small part of the whole frame, then perhaps that remote flash works better if i meters its own part with its own sensor. Also remember that metering with a flash's built-in metering sensor doesn't take the lens into account. What the subject looks like is quite different if you use a 16 mm or a 300 mm lens. E-TTL II will take that into account, as it looks through the lens. The key is that the 600EX-RT is, depending on how the user configures it, four different speedlites. ETTL with radio slave capabilities and extended feature set. Even though they are all available I find I use either Manual or 600EX-RT system capabilities.